The Jallikattu protest in Tamil Nadu has inspired the opposition in Andhra Pradesh to create disturbances to seek special status to the state, Chief Minister N. Chandrababu Naidu said on Monday.Popular actor and Jana Sena chief Pawan Kalyan has announced his party will support the youths if they plan a silent protest in Visakhapatnam on January 26. "If youths of Andhra Pradesh are planning to do a silent protest at R.K. Beach, Vizag Jana Sena will support them," he tweeted.Opposition leader and YSR Congress Party President Y.S. Jaganmohan Reddy on Monday said he would welcome any such protest. "Any programme or event demanding special status is welcome. I request all supporters especially youths to come forward, support and make these events a big success," Jaganmohan Reddy tweeted.In a series of tweets, the actor said youths should raise their voice peacefully. 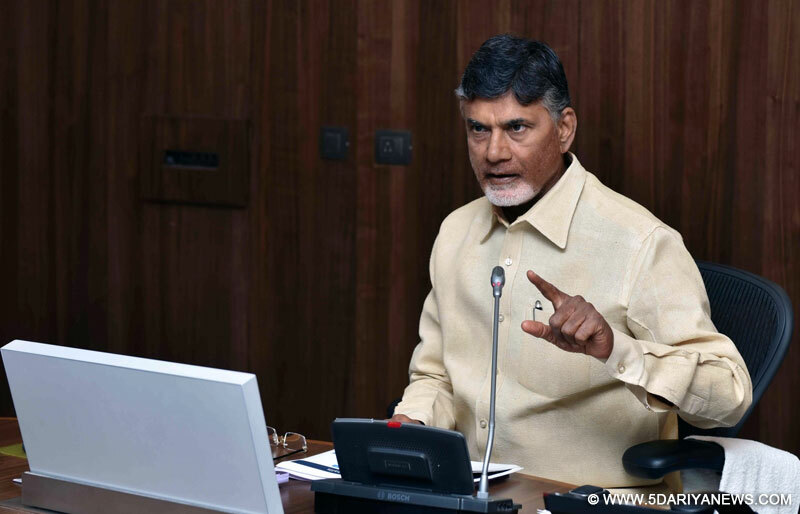 He said this was the only way to achieve the promised Special Category Status (SCS) to Andhra Pradesh. The opposition parties and other groups have accused the Bharatiya Janata Party of betraying the state by backtracking from its poll promise of according SCS.They also targeted the ruling Telugu Desam Party (TDP) for "compromising" on the issue.Pawan Kalyan, who had been targeting both BJP and TDP for months, continued his attacks. "The muscle called courage and the qualities -- self respect, integrity and accountability are lacking in the political class of Andhra Pradesh," he tweeted. "We love Gandhi, we adore Ambedkar, we salute Sardar Patel, we respect our Constitution but not the snobbish leadership of north India. If they go on humiliating people of south India and hurting their self-respect... we know how to bring down their snobbishness. "Does the north Indian political elites know how many languages are there in the South? For them we are all Madrasis," Pawan added.The Congress has said it was ready to join hands with any party to achieve SCS.The Prathekya Hoda Sadhana Samithi, which is fighting for SCS, has asked Telugu film actor to learn a lesson from the Jallikattu protest and take a lead in achieving SCS.Naidu took strong exception to the opposition parties comparing SCS to Jallikattu. "Some parties are trying to provoke people and create disturbances but we will not allow this. We will be very firm," he said on Monday.